At a reading/booksigning for Read My Hips at Barnes & Noble. Do you have a dream of writing your story and sharing it with the world — but you’re not sure you can? I know how that feels. A few years ago, I was working in a law firm in New York City. 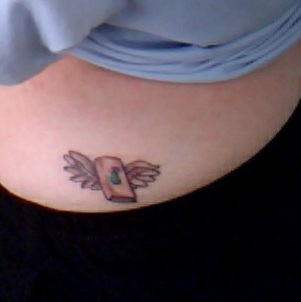 I used to think I’d die with my writing inside me, exhausted by the day-to-day grind of keeping a roof over my head. Then one day I made a decision — just like that. I knew I was born to be a writer, and I wasn’t going to wait any longer. 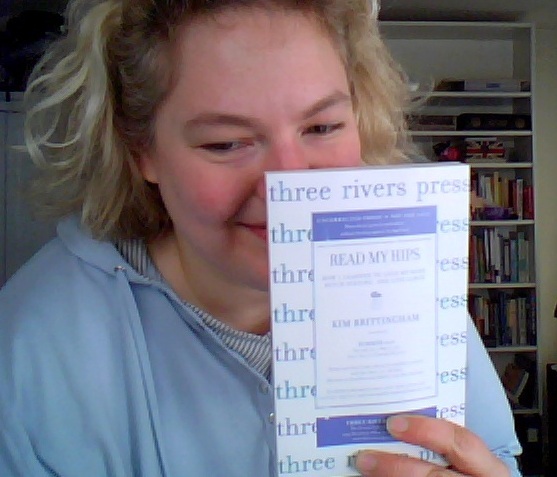 The day the galley copies of Read My Hips arrived. memoir, thirty minutes at a time, in the office lunch room. Tappity tap-tap, come hell or high water, at lunchtime I got my writing in (and a turkey sandwich, too). When one of my co-workers would wander in and ask, “What are you doing?” and I’d respond, “I’m writing a book”, I usually got a skeptical, sideways glance. But that was okay. The only person I needed to believe in me was me. 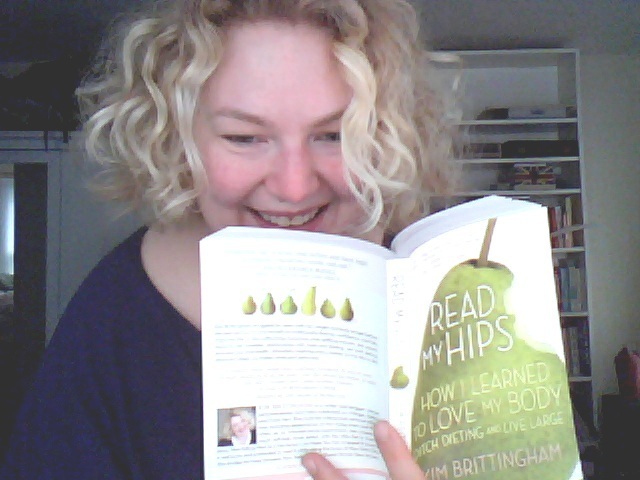 The day published copies of Read My Hips arrived at my door! In 2011, my memoir was published by Three Rivers Press, an imprint of Random House. It’s called Read My Hips: How I Learned to Love My Body, Ditch Dieting and Live Large. I’m sure glad I decided to start. So how about you? Isn’t it your turn to live the dream? You can get no-nonsense, fun and friendly help writing your memoir — and you don’t have to wait another minute. Write That Memoir Right Now! (published January 2013 by AudioGO) is available as an eBook or audio book, downloadable to your favorite device. Forget “someday” — start today! In Write That Memoir Right Now!, I review key aspects of the writing process, including characterization, plotting, theme, focus, point of view, editing, and revising. Plus, I’e added extra information on the business of getting published and ways to get your story read. When I’m not writing or teaching at Gotham Writers’ Workshop in New York City, I work as a social media steward to small businesses, marketing agencies and authors. I guess it just needs that “start”… It took me six years to write my autobiography for the family. Never intended to publish but now I have and it will be a one-off (I think). On completion it amazed even me, the laughs, drama, love and adventure that I I experienced. I just want others to share those experiences. A Life That Matters. Amazon/Kindle. 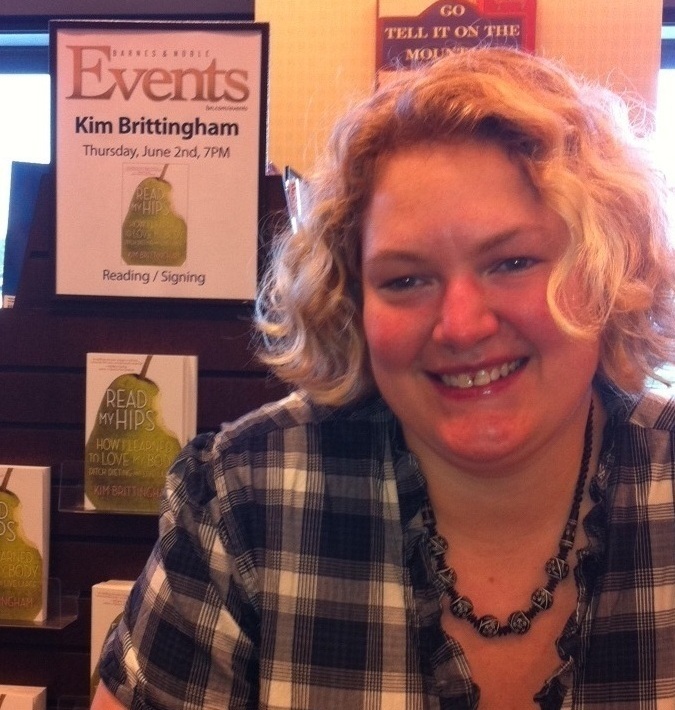 Hi Kim, I love your story! I also just commented on your fab article on Linkedin. To bad you don’t live closer. I live in Ireland, married to an American. All the best and keep those books comin!